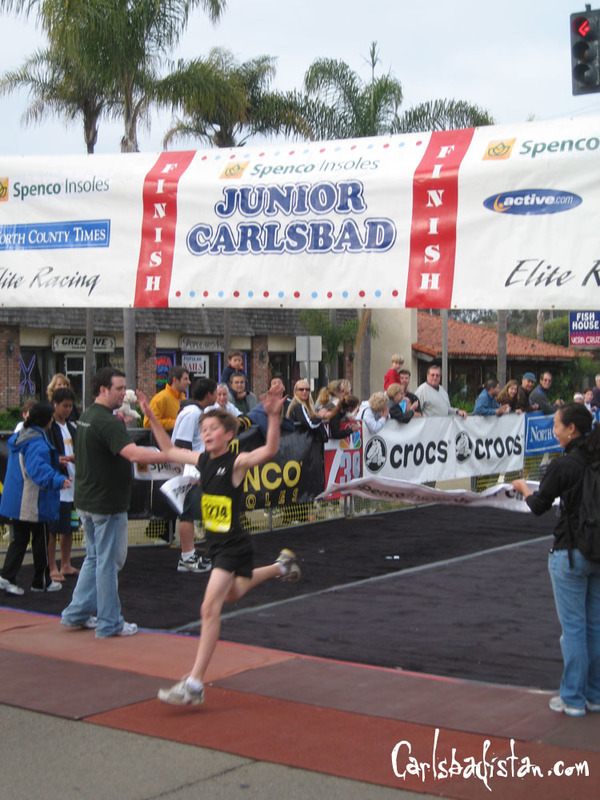 The 2008 Carlsbad 5000 weekend kicked off this morning (April 5, 2008) at 8 AM with the 12-year-old start for the Junior Carlsbad. According to race officials approximately 3,500 kids were registered to fun the one-mile race up Grand Ave, out Coast Highway then back down Carlsbad Village Drive to the finish at State Street. 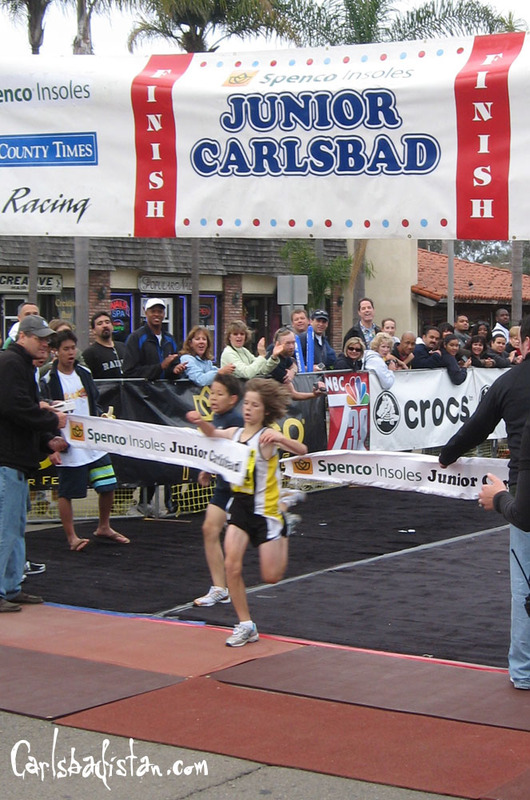 Age 12 winner Steven Fahey blurs through the finish. 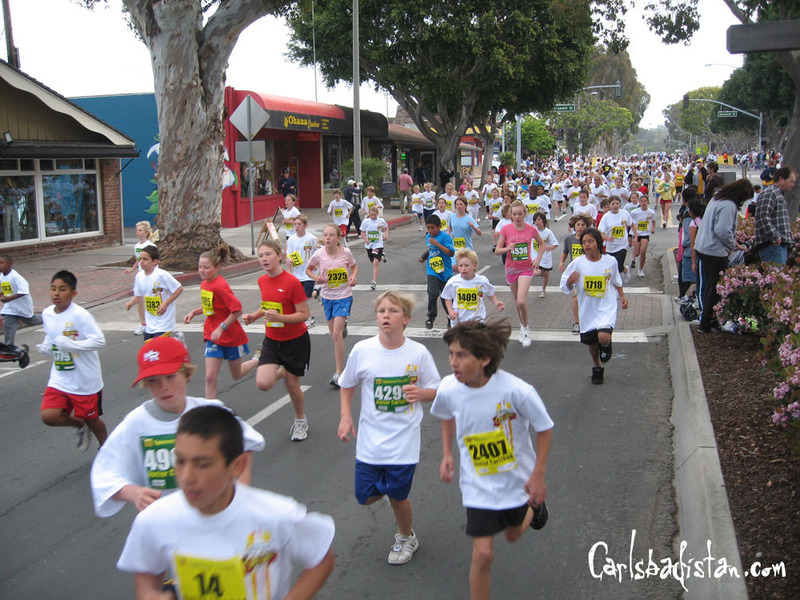 A herd of 11 year olds pounding up Grand Ave. See anyone you know? 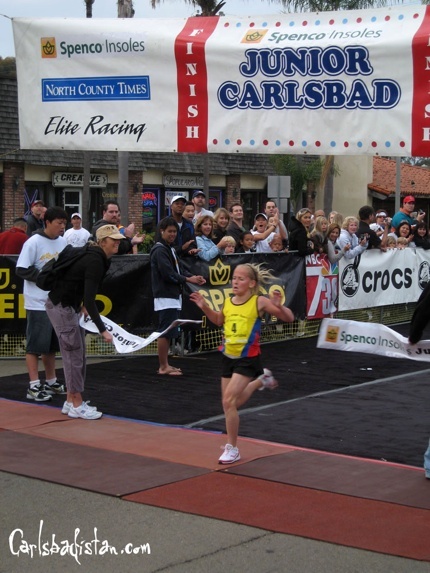 Emma Abrahamson, 11, of the San Diego So Cal Road Runners turns in a personal best (and we think dominated the day) with her incredible 5:27 mile. 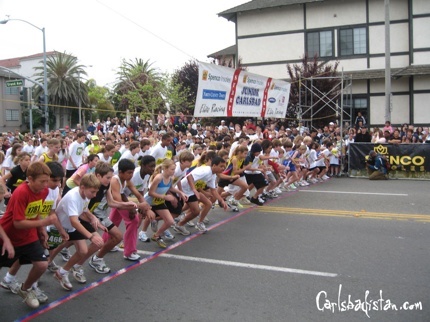 Yes, five minutes, twenty-seven seconds. 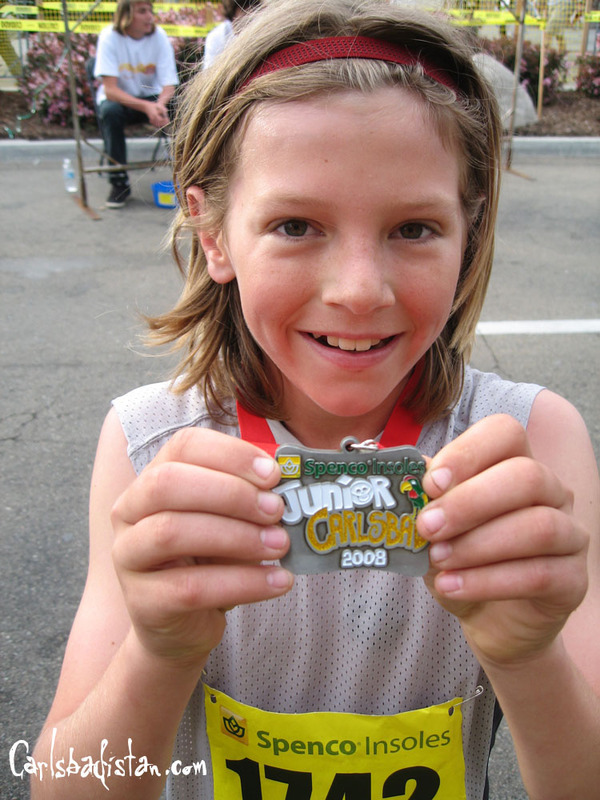 Everyone gets a medal and a smile. This Carlsbad local recorded his second best time ever with a 6:47. In the 10-year-old division it was a battle to the finish San Diego So Cal Road Runner Trevor Capestany squeezing through the ribbon for a first place finish. Oceanside’s Catherine Morales won the 10-year-old girls division.